Thom Hoffman is a UK-based filmmaker and multimedia journalist. His work bridges science, art, and humour to make complex ideas accessible to all. 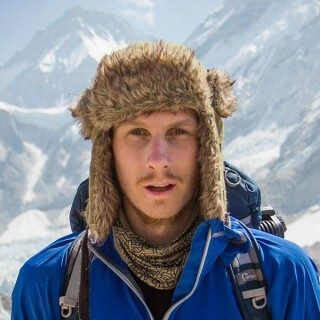 Thom’s projects have seen him travel far and wide, from trekking with altitude researchers around Everest Basecamp, to filming in a ‘Mars representative environment’ just outside London. He is driven by finding creative ways to bring concepts to life. His films have featured stop motion candy to uncover the economics of sharing, Lego showing the green potential of driverless cars, and an animated music score revealing the secrets of the epigenome. Thom has an MSC in Science Communication and he has worked for the BBC, the Guardian, Nature, and the BMJ.